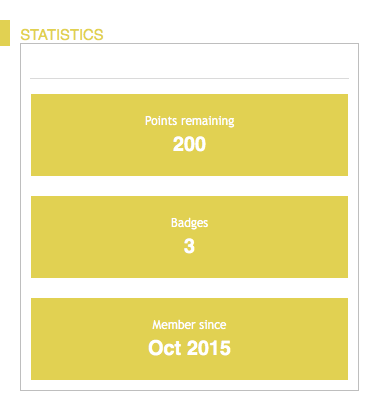 The Your Member Statistics widget can show a user an overview of their statistics. This can be their remaining points, user rank, badges, user profile completeness, and the date that they became a user. An important goal of this widget can be to remind and update users of how they are doing in the platform. The widget is often placed in the sidebar of the Community page. So if people go to the Community page, they can see immediately how many points they still have. Search for the Member Statistics widget and select Edit at the Options drop-down. CMNTY software just became fully DIY, check out our public help center!